The victim/plaintiff has the burden of proof in a negligence case. This party must establish liability by a preponderance of the evidence (more likely than not). Although that is the lowest standard of proof in Florida law, the victim/plaintiff still need substantial evidence to prove a negligence claim. Furthermore, Tampa juries often award damages based on the strength of the evidence. Like many other areas of our lives, evidence collection in torts cases has changed considerably over the last twenty years. But at the same time, some of the oldest and most reliable forms of evidence-gathering are still valid. Ever since the first fatal accident in 1891, witness statements have been perhaps the most important source of evidence in car crash cases. Such testimony is arguably the most simple, and most compelling, source of evidence in these cases. First responders usually interview a few witnesses at the scene. But many people do not like talking to police officers, for various reasons. Moreover, some people may not come forward because they only saw part of the crash. A personal injury attorney, often working in partnership with a private investigator, can often obtain statements from key witnesses that first responders missed. First responders usually prepare accident reports as well. Largely because of the aforementioned issues with witness statements from the scene, these documents are usually incomplete as well. Moreover, first responders often only hear one side of the story. Very often, the victim is unavailable to give a statement because of injury or wrongful death. Photographs and other physical evidence is important as well. So, it’s important to take pictures of things like skidmarks, injuries, and property damage. This process is easier now than it was twenty years ago. Most cell phones have high-resolution cameras, and most Hillsborough County courtrooms have high-resolution TV monitors. These traditional sources of evidence have been highly successful for a number of generations, and they are still effective today. However, there are other sources of evidence available as well. Video evidence is often a key element in the victim/plaintiff’s case. Such evidence often comes from nearby surveillance cameras or intersection red-light cameras. 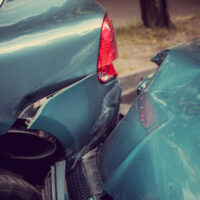 Other times, a camera from a block or two away may help shed light on the accident. For example, such a camera might catch a glimpse of a fleeing hit-and-run suspect. In court, EDR evidence is very precise and almost impossible to challenge. If a witness testifies that the tortfeasor (negligent driver) was “travelling fast,” an insurance company lawyer can often attack the witness’ credibility. But if EDR data states that the car was travelling 53.7mph, it is very difficult to undermine such evidence. There are some special legal issues with regard to EDR evidence. First, an attorney must usually send a spoliation letter to the insurance company to preserve this evidence. It’s normally a good idea to send this letter within a few days of the crash. Second, due to Florida privacy laws, an attorney usually need a court order to access the EDR’s data. Diligent evidence gathering helps build successful negligence cases. For a free consultation with an experienced auto injury attorney in Tampa, contact The Matassini Law Firm, P.A. We routinely handle cases in Hillsborough County and nearby jurisdictions.